A fast paced city life is always challenging. You may often be faced by the need to travel from one place to another as quickly as possible; whether it is a 5 minute commute or whether you need to take a 3 hour flight. But what you do when you are unable to avail of a mode of transport? SelectDFW understands how stressing emergency travel can be. Therefore, we wish to offer you DFW Car Transfer to take the stress off. Yes, all you need to do is access our online reservation system and make a reservation. Once you've told us where you would like to be picked up from and at what time, we make arrangements to assign a uniformed chauffeur to serve you. At DFW Car Transfer, your chauffeur is not only a driver who will get you to your destination, he will also assist you with luggage, if any, and be open to fulfilling any requirements you may have on your way to your destination. The main purpose of offering you Dallas Airport Car Service is to give you a travel experience that causes you no stress. 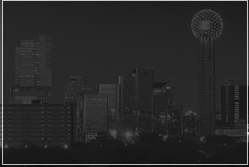 Yes, it's all about your comfort and relaxation with Dallas Airport Transportation.